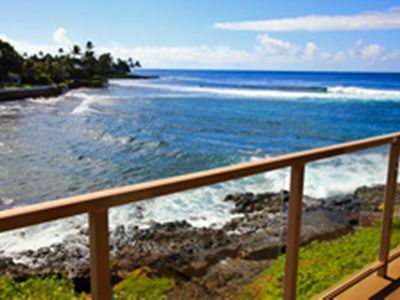 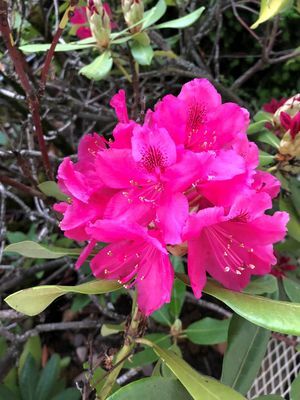 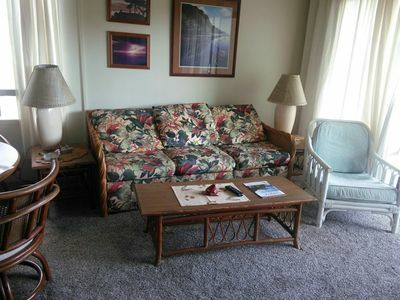 Located just footsteps from Poipu Beach and Brennecke Beach, this selection from our Kauai cottages offers its guests a spacious and relaxing place to settle in and enjoy island-style beach life. 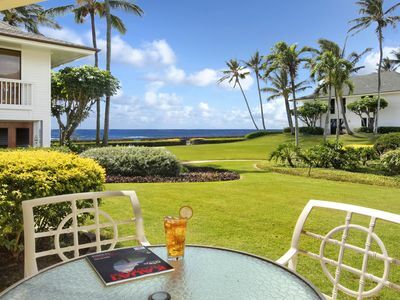 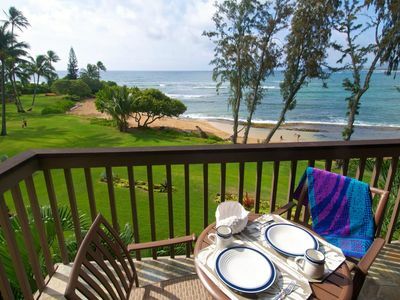 Hale Ani is a comfortable and charming Kauai vacation home with an extra-large oceanfront lanai and amazing ocean views from almost every room. 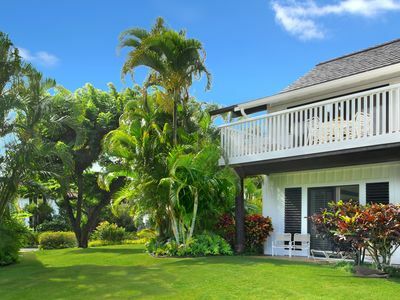 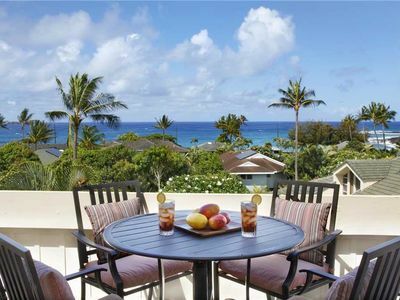 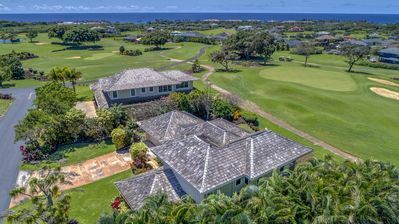 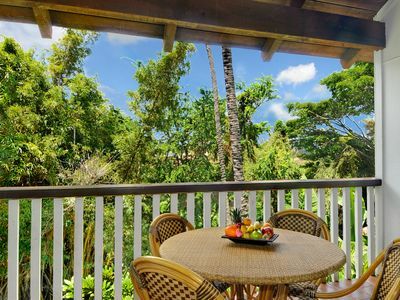 Well-appointed and immaculately maintained, this three-bedroom residence is one of the most desired Kauai vacation rentals available at Poipu Beach. 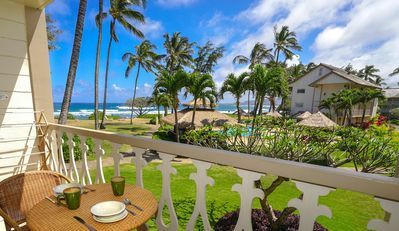 Swaying palms and tropical trade winds and depending on the season, incredible sunsets, turtles, whales and much, much more welcome the guests of Hale Ani. 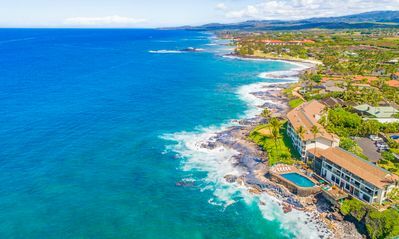 There are 3 beaches within a 10 minute walk or a few minutes drive; Brennecke’s Beach and Poipu Beach to the west, perfect for swimming, (with a separate lagoon for young children), snorkeling, surfing and beach parties. 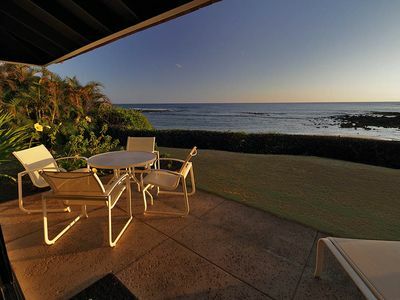 Shipwreck Beach to the east, is best for experienced swimmers and surfers. 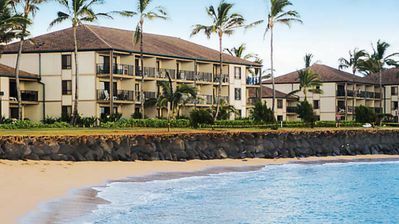 The short walk along the coastline is breathtaking. 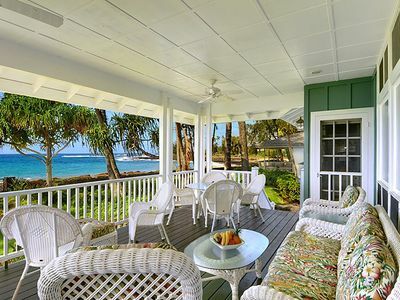 Kiahuna 1 - Single-story Beachfront Bungalow On Poipu Beach! 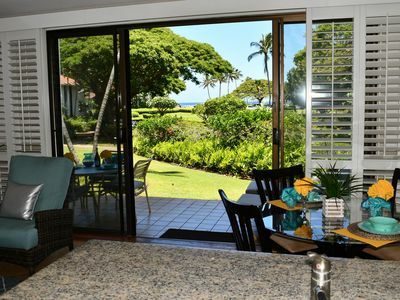 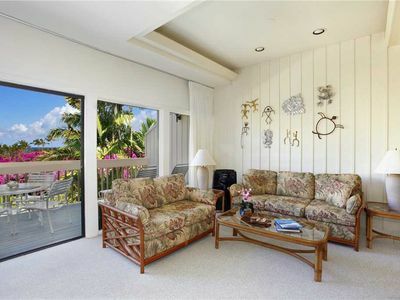 Poipu Kapili #47: Ground Floor Home with Air Conditioning & Partial Ocean Views! 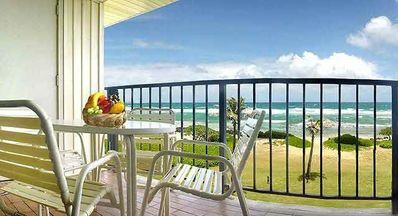 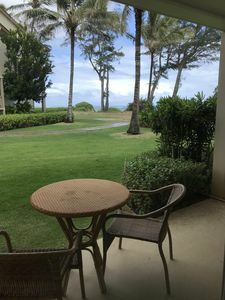 Kauai 'almost' Oceanfront Condo Oceanfront Complex AC FREE WiFI NEWLY LISTED!! 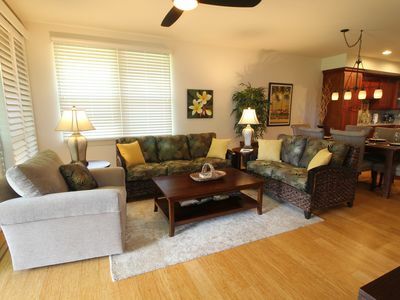 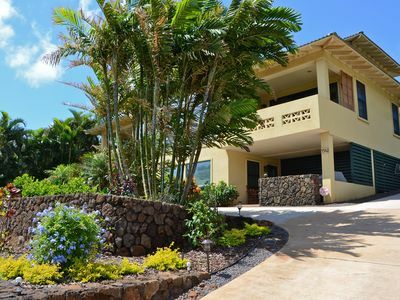 Spacious 7 Bedrooms for 16 in Poipu!